You can compare Indigo RT to Indigo Renderer here. Glare Technologies is proud to announce the commercial availability of a new physically-based rendering solution which offers unprecedented value in the high end unbiased rendering market: Indigo RT. 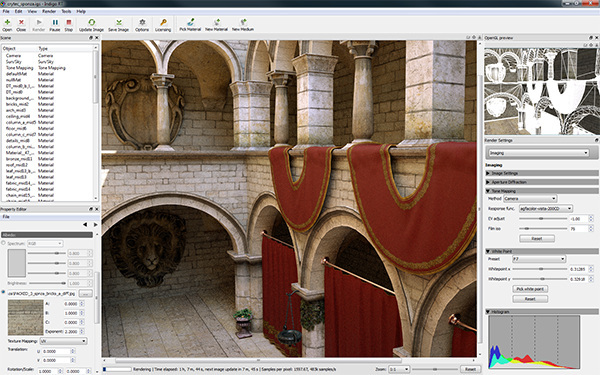 A complete redesign of the scene representation enables realtime editing of material parameters and camera settings. You can immediately see the results of small adjustments, and such changes can also be made permanent by saving the scene from within Indigo. When applying texture maps which have an alpha channel, a blend material is automatically created with the appropriate null material mapped to the alpha channel. If you change a material type to one which requires a medium, it is automatically created if none already exists. Indigo RT uses a hybrid GPU acceleration system in which the GPU acts as a co-processor to assist the CPU with ray tracing computations. This approach has benefits over both pure CPU rendering and pure GPU rendering: in the first case it's faster, and in the second it makes onboard GPU memory go further by not storing the entire scene dataset (eg. textures, framebuffer) on the GPU. Performance increases of 2X to 3X are commonly observed in a configuration where the GPU is paired with a sufficiently powerful CPU. 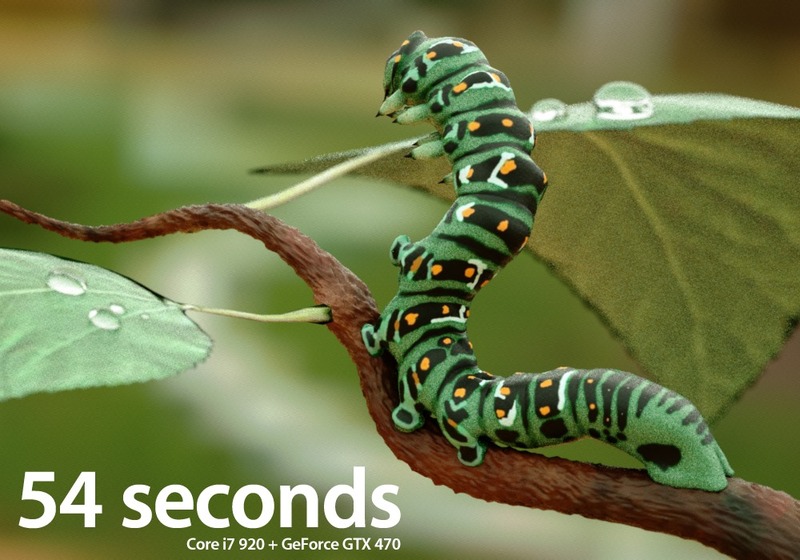 Both CUDA and OpenCL are supported in this robust, future-proof implementation. Farmhouse by waz (click to enlarge). Indigo RT is the first robust, truly unbiased and full-featured rendering system available at under €200. This opens up new possibilities for artists who want to see their work rendered photo-realistically with proven technology capable of handing complex, real-world scenes. 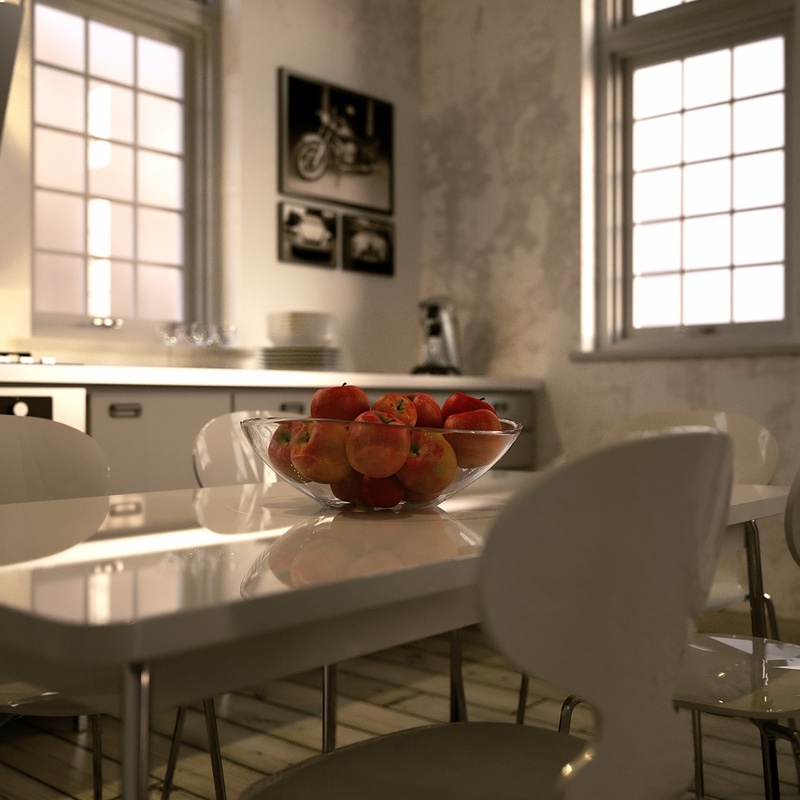 The powerful bi-directional path tracing and Metropolis Light Transport modes make Indigo RT well suited to difficult lighting situations that occur in physically modelled 3D scenes.